There’s no question you should be using a password manager How Password Managers Keep Your Passwords Safe How Password Managers Keep Your Passwords Safe Passwords that are hard to crack are also hard to remember. Want to be safe? You need a password manager. Here's how they work and how they keep you safe. Read More to keep your passwords safe. There are plenty of options out there, but two of the most reputable options are LastPass and 1Password. If you’re thinking of switching from one to the other, they both make it very easy to export and import your data. When exporting your LastPass passwords, you have to use the website rather than the browser extension. It’s also recommended to use Chrome, Opera, or Safari, but not to export your data using Firefox. While signed in to your LastPass account, click More options in the left sidebar menu. You’ll see all your LastPass data in a plain text document in your browser. Select all the data using the keyboard shortcut Ctrl/Cmd+A , and use the keyboard shortcut Ctrl/Cmd+C to copy it. While signed in to your 1Password account in a browser, click your username in the top right corner and select Import. From the list of services that appear, select LastPass. If you have more than one vault in 1Password, select the vault where you want to import your data. In the field where you can paste your CSV data, use the keyboard shortcut Ctrl/Cmd+V to fill in your data. LastPass will immediately begin to import your data. You’ll see a message letting you know how many accounts have been imported. Immediately after you complete your import, you can undo the import if you notice that anything went wrong. You’ll be prompted to enter your password to continue. For fields to export, keep Common fields selected. Click More options in the left sidebar menu > Import. In the window that opens, for Source select 1Password from the dropdown menu. Open the pif file you downloaded using your browser of choice. You can do this quickly by opening a new tab and dragging the pif file into the empty tab. Use the keyboard shortcut Ctrl/Cmd+A to select all the data and Ctrl/Cmd+C to copy it. In the LastPass import window, paste that data in the Content field. 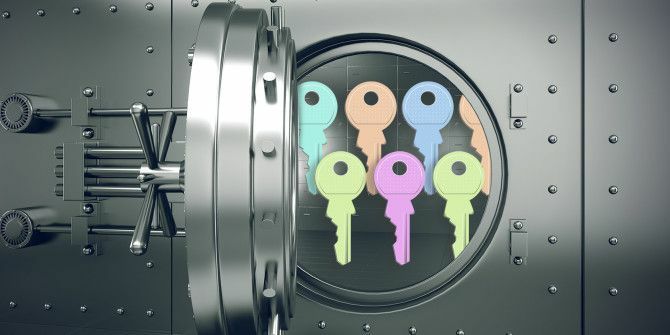 If you’re not sold on either LastPass or 1Password, then check out these alternative password managers 5 Best LastPass Alternatives to Manage Your Passwords 5 Best LastPass Alternatives to Manage Your Passwords Many people consider LastPass to be the king of password managers; it's packed with features and boasts more users than any of its competitors -- but it's far from being the only option! Read More . Explore more about: 1Password, LastPass, Password Manager.